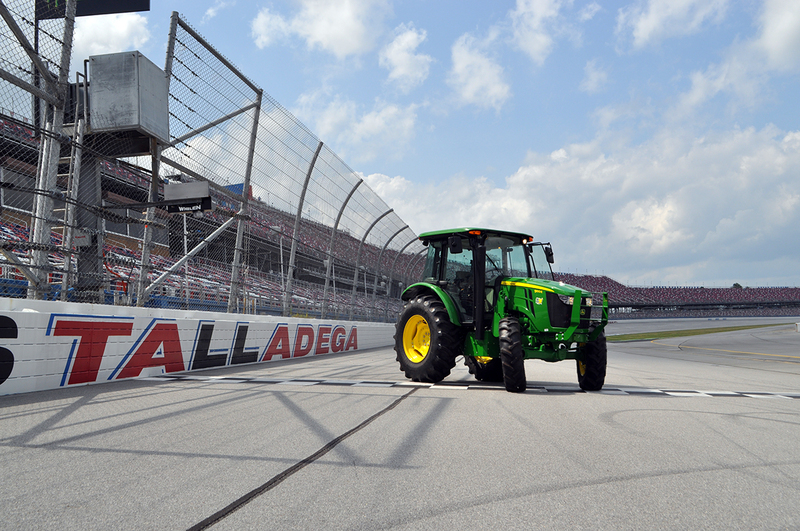 Talladega Superspeedway announced today that Ag-Pro Companies, a regional John Deere dealership across five states, has become the Official Tractor Dealer of Talladega Superspeedway. As part of the multi-year partnership, Ag-Pro will provide tractors to help the facility with everything from mowing grass to pulling fan trams on Talladega’s nearly 3,000 acres of property. Ag-Pro, headquartered in Boston, GA, is a leading provider of equipment, parts and service in industries ranging from agriculture and construction to residential lawn care and professional landscaping. The company was founded in 1958 and originally established as Boston Tractor Company. Ag-Pro has experienced tremendous growth over the last 20 years and is now the largest John Deere dealer in North America with 59 locations across Alabama, Georgia, Florida, Texas and South Carolina. Every tractor at the superspeedway will be valuable hardware for the year-round operation to keep NASCAR’s biggest track in pristine condition for race weekend. From the track’s campgrounds to the Talladega Airport next door to the 2.66-mile facility, it takes approximately one week for four bush hogs to cut around 1,400 acres of grassy land – a process that consumes 1,200 gallons of diesel fuel. The partnership will also serve as the next chapter in John Deere’s extensive history in NASCAR, which has included both car and race sponsorships. The brand currently serves as a part-time primary sponsor for 2017 GEICO 500 winner Ricky Stenhouse Jr., who drives the No. 17 for Roush Fenway Racing. Ag-Pro’s deal with Talladega Superspeedway is the latest development as excitement brews for the track’s doubleheader NASCAR Playoff weekend, which will feature the Talladega 250 NASCAR Camping World Truck Series event on Oct. 13 and the 1000Bulbs.com 500 Monster Energy NASCAR Cup Series race on Oct. 14. For tickets and more information on Talladega Superspeedway, fans can visit www.talladegasuperspeedway.com or call 855-518-RACE (7223).